This Muslim Girl Bakes: Cookbook of the Month October 2017: Heavenly Bites. Cookbook of the Month October 2017: Heavenly Bites. I have a busy one here today. There's pain au chocolat in the oven and fish fingers on the agenda for later. But first, my cookbook of the month for October. 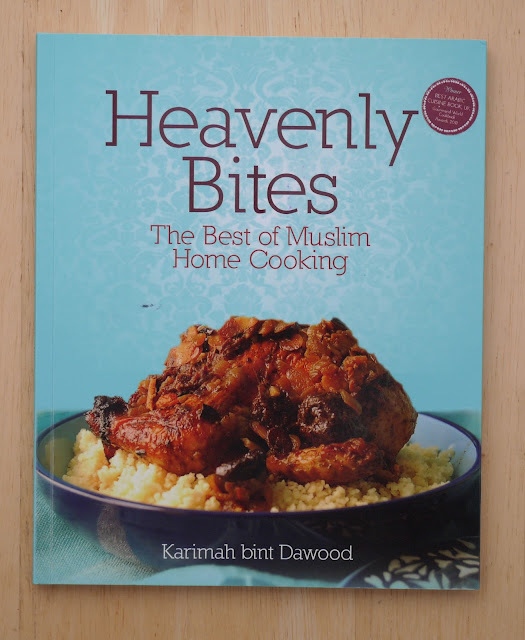 This month, I've been cooking my way through Karimah bint Dawood's Heavenly Bites. It's packed full of recipes from all over the world. Soups - Oriental Butternut Squash Soup: I've been trying to cook more soups this Autumn season so was very happy that the book had a soup section. 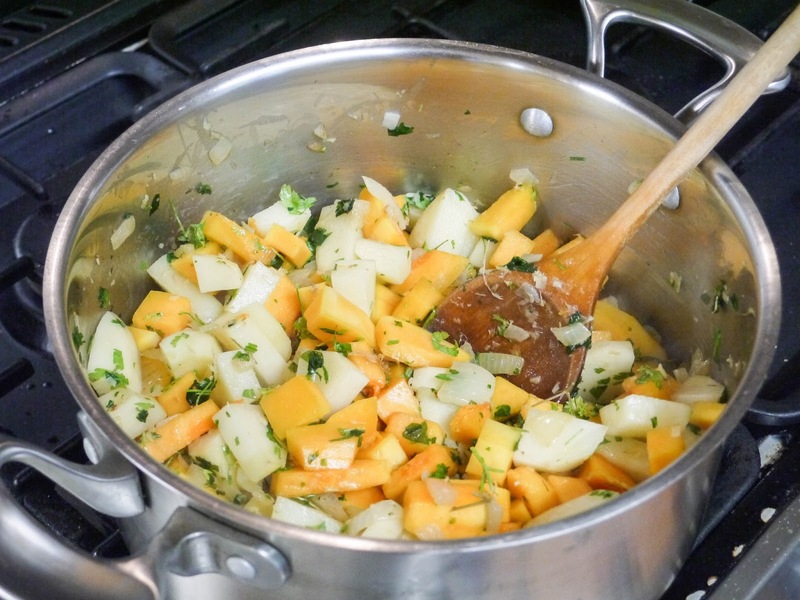 I love cooking with butternut squash during Autumn so decided to make the oriental squash soup. I know some people find dealing with a whole butternut squash quite daunting. My way of prepping it? Slice off the top and bottom then peel off the skin with a potato peeler. 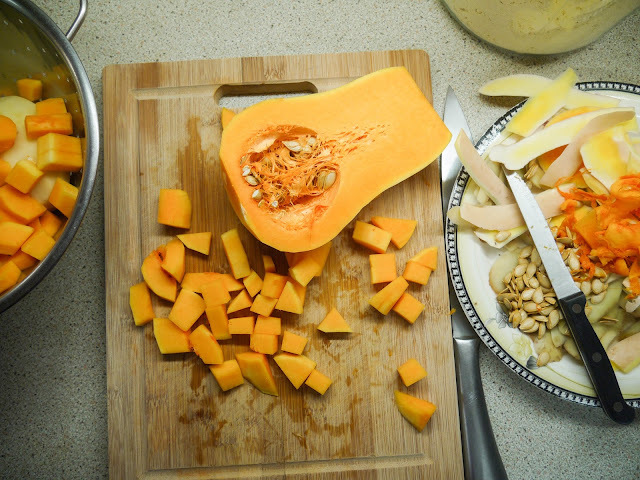 Carefully slice in half, scoop or cut out the seeds and straggly bits. Chop up as you wish. 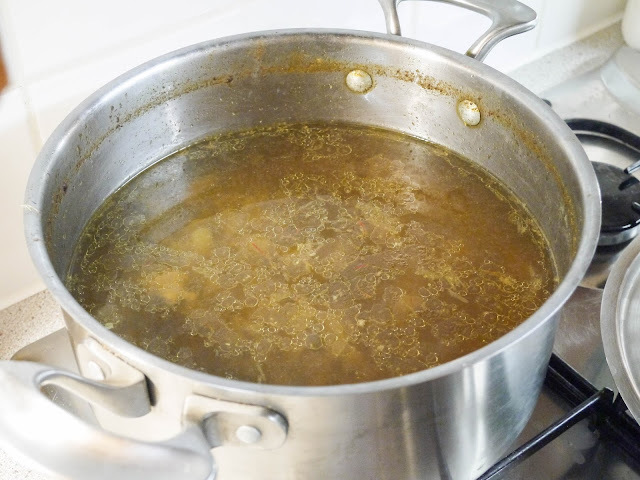 This soup also contained among other things potatoes, onions, garlic, ginger, lemongrass and coconut cream. 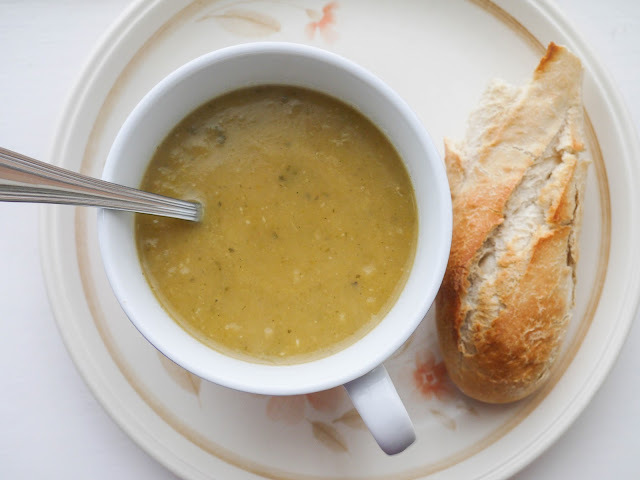 Once blended, it was really creamy and we enjoyed it with crusty baguettes to dip. Butternut squash soup recipe on my blog: roasted butternut squash soup + smoky cheddar za'atar naan dippers. 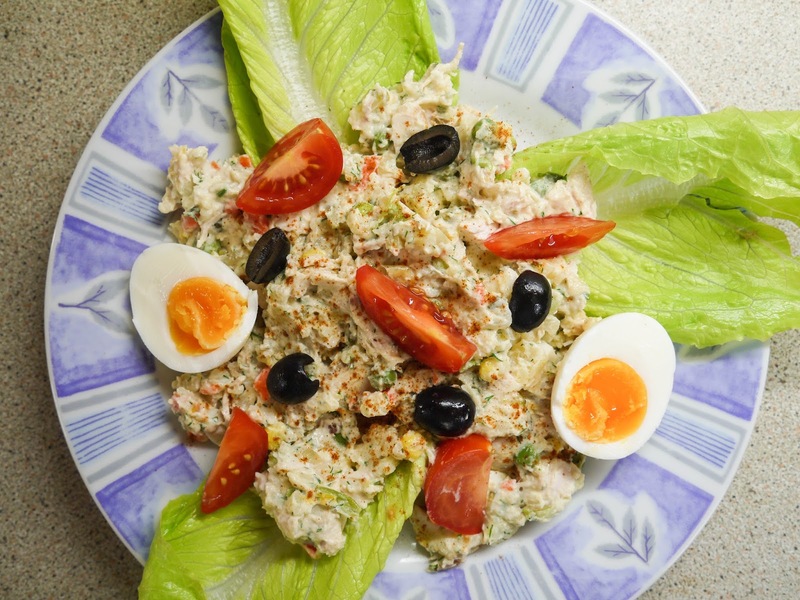 Salads - Salad Olivier: When flicking through the salad section, I knew I had to try the Salad Olivier. Some might call it an Iranian potato salad but I found that it was so much more than that. The version in this book used chicken, potatoes, gherkins, onions, boiled eggs, mixed vegetables and fresh dill. The dressing was made with mayonnaise, sour cream, Dijon mustard and lemon juice. 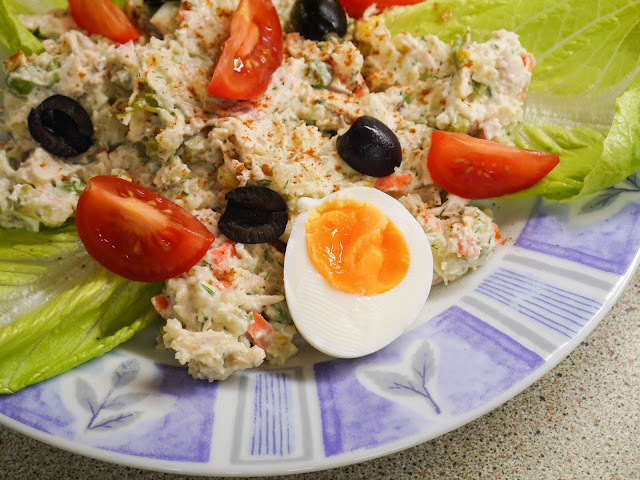 The salad is best after a few hours in the fridge and looks lovely sprinkled with paprika and served over lettuce with tomatoes, olives and boiled eggs. Potato Salad recipe on my blog: creamy potato salad. 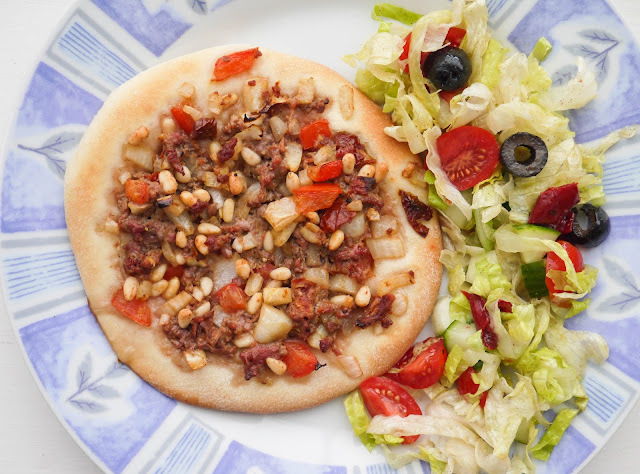 Snacks - Lebanese Mini Pizza: This was my personal favourite out of all the recipes that I tried. 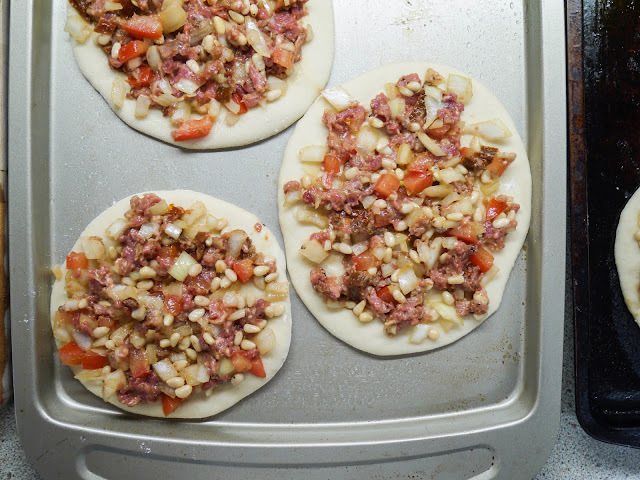 The recipe starts with a simple pizza dough which is left to rise before being rolled into mini pizza bases. The topping is interesting. 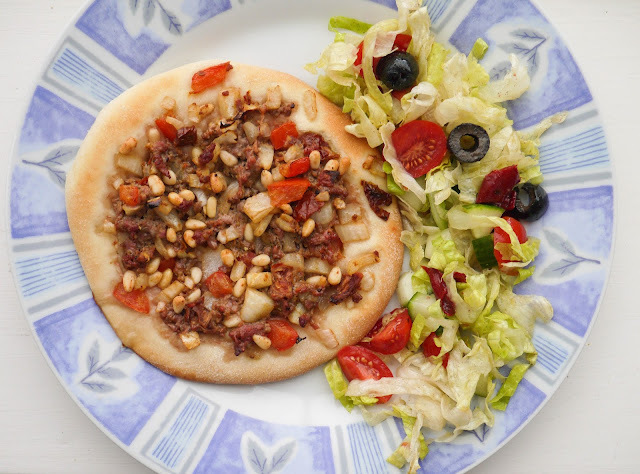 Unlike other meat pizzas which usually cook the topping beforehand, this one uses a raw topping. It's so simple. 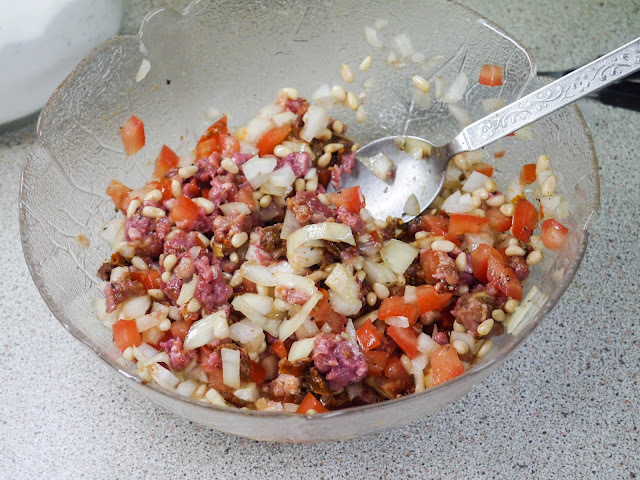 All I did was mix together lamb mince, chopped onions, baharat spice mix, chopped tomatoes, sundried tomatoes, pine nuts and seasoning. The filling is divided between the bases. Not too much - about 2 tablespoons per pizza. The pizzas bake in a really hot oven until the topping is cooked and the base is crispy. We enjoyed the Lebanese pizza with a simple salad. 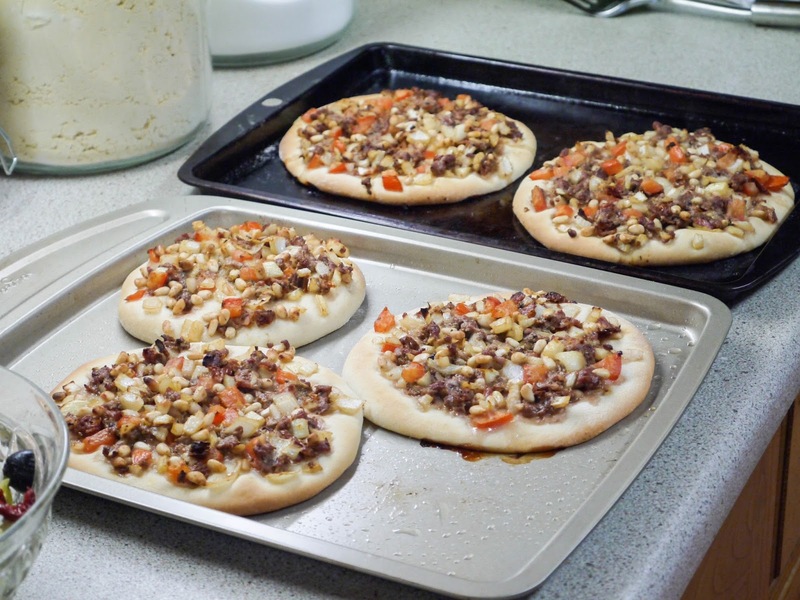 Everyone loved the topping and felt that because it had only been cooked once, it was really juicy and fresh. Smoothies - Peach Melba Smoothie: Out of all the smoothies, this one jumped out at me. 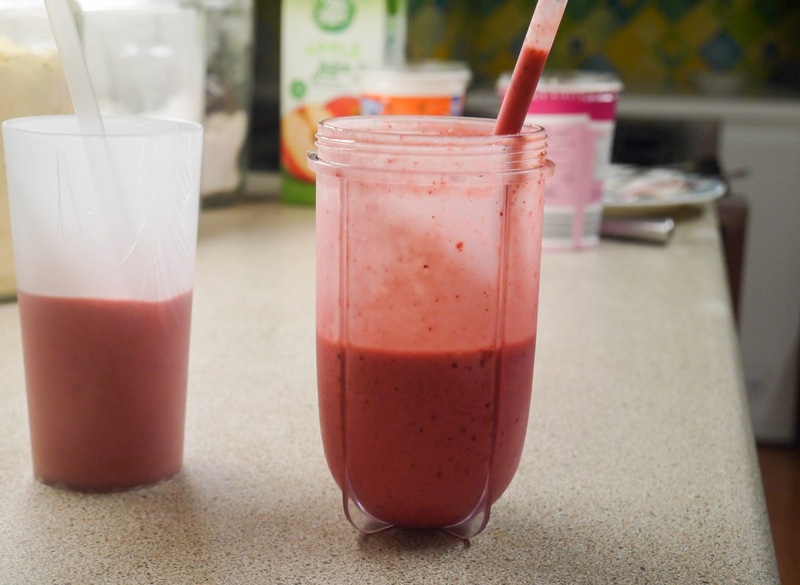 It was really refreshing and tangy with plenty of fresh peaches, raspberries and apple juice. 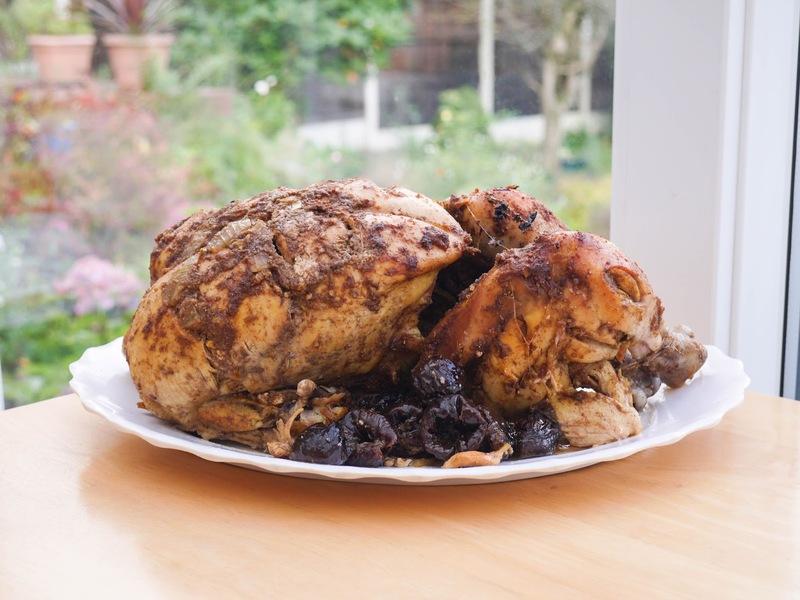 Main Courses - Faith Roast Chicken: This recipe is the one featured on the cover of the book. It was the first recipe that I decided on making. And, everything started with a chicken. 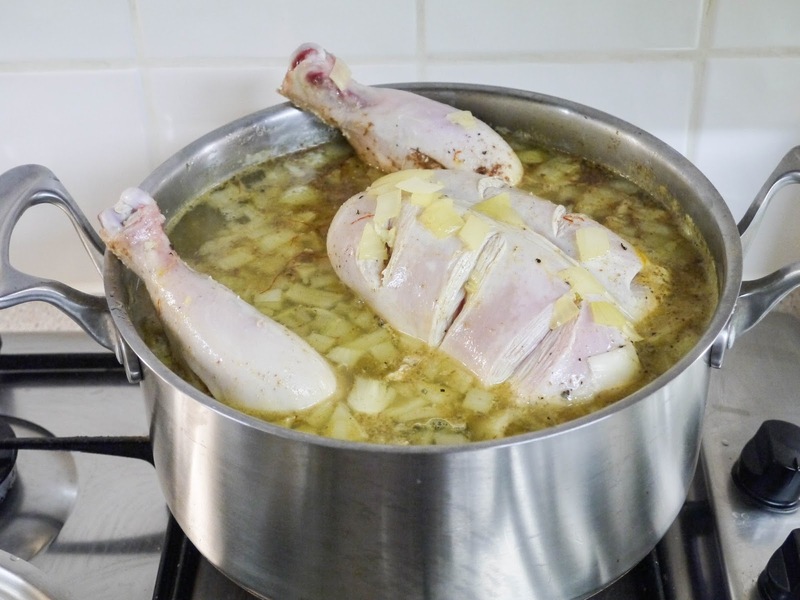 The chicken was first poached in water with stock cubes, onion, garlic, cumin, turmeric, ginger, cinnamon, bay leaves, saffron and seasoning. Ours was pretty big and I just about managed to get it into its pot. 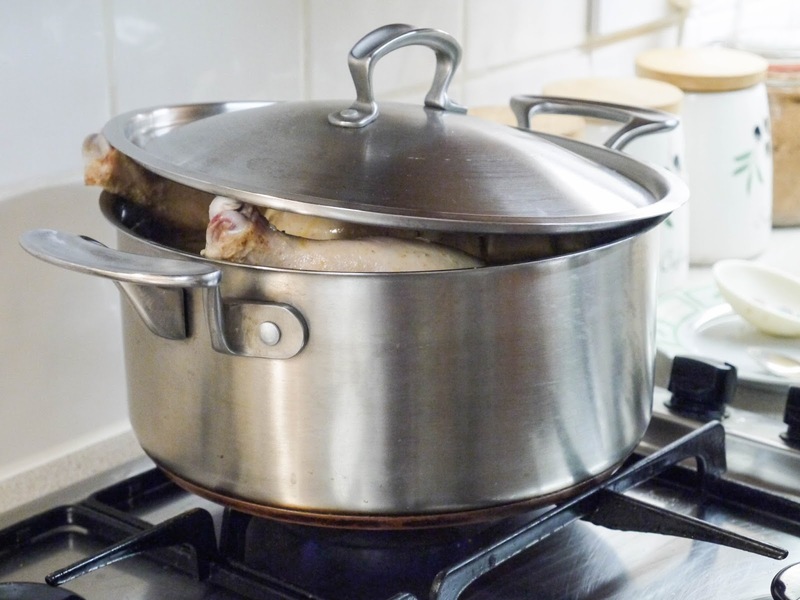 Once the chicken had poached for about 30 minutes, it was taken out and marinaded. We didn't waste the stock though. It was used to make a vegetable pulao to go with the chicken. 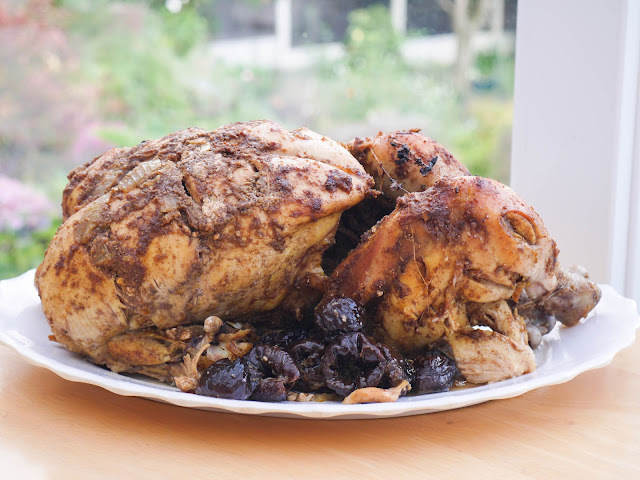 The chicken was marinaded in olive oil, cumin, coriander, red chilli, cinnamon, honey, garlic and lemon juice. 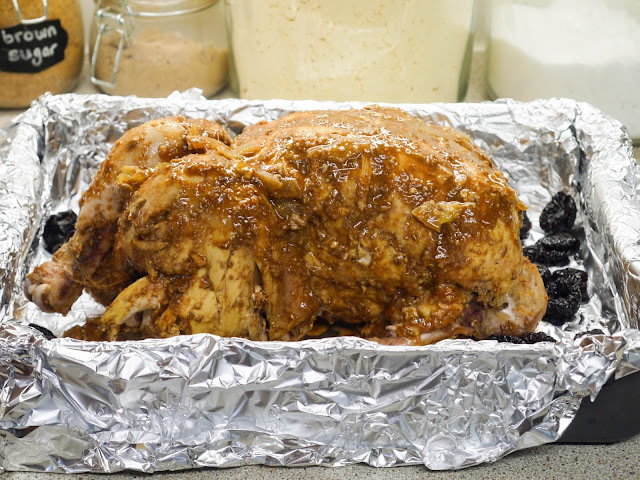 It was baked in a large tin with prunes. Before being roasted and served with rice! 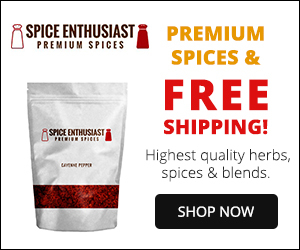 Marinades - Chilli Marinade: Karimah has an entire chapter devoted to marinades. 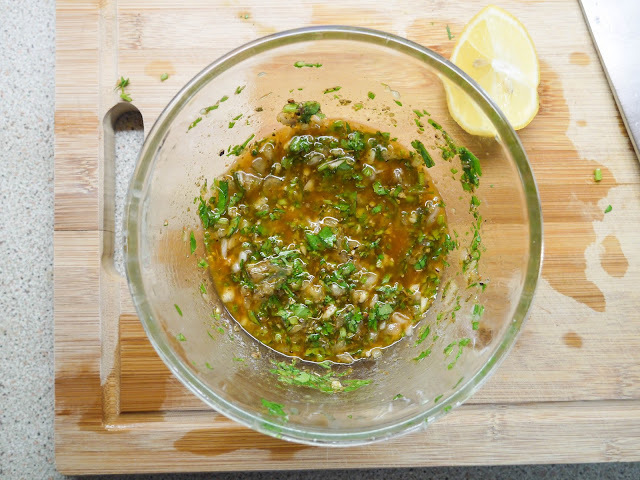 I chose to make the chilli marinade which also promised a Mediterranean kick for good measure. It didn't disappoint as it was packed full of red chilli powder, shallots, garlic, fresh coriander, oregano, cumin, lemon juice and olive oil. I would have preferred to use it with chicken but only had the chance to marinade fish with it. 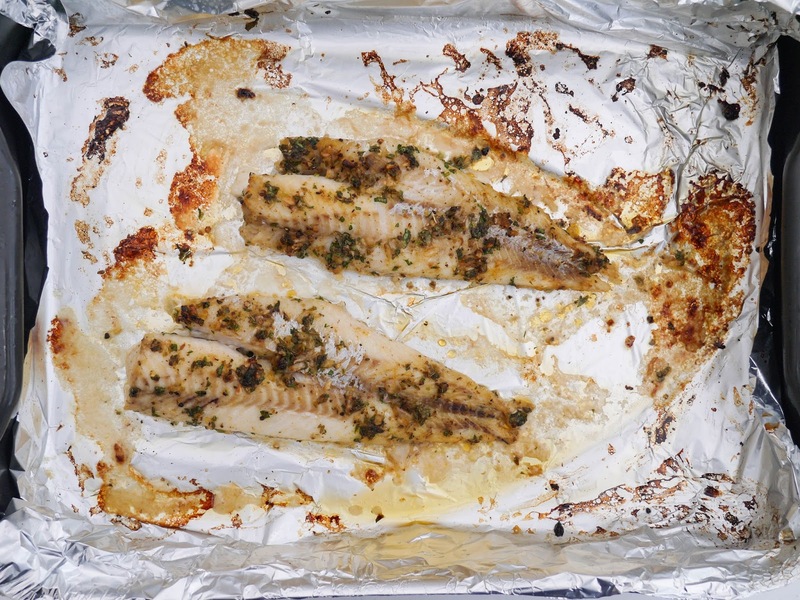 These are cod fillets which were marinaded and then grilled. 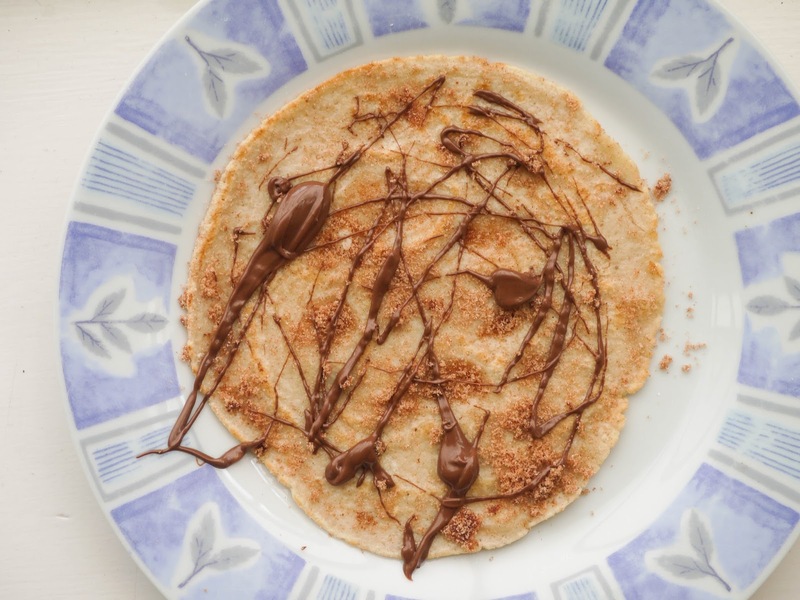 Sweets - Poetic Pancakes: I tried out the pancakes for breakfast. The base is the same for both sweet and savoury - wholemeal flour, an egg, almond milk and water. For the sweet, I added in cinnamon and ginger. The pancakes were cooked then tossed in cinnamon sugar and drizzled with Nutella. 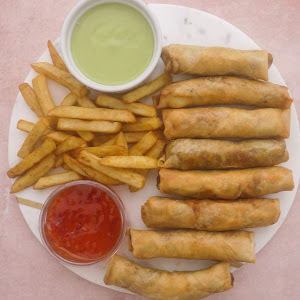 The savoury ones were flavoured with salt and pepper. 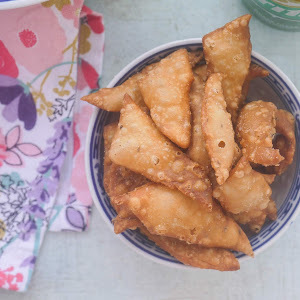 We enjoyed them with spicy achar pickle. 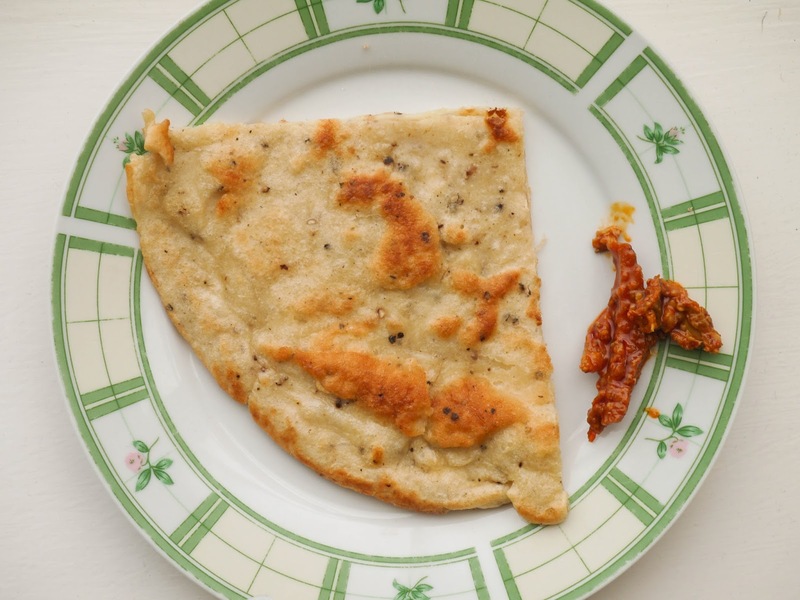 Cookbook of the Month, previously: jamie's comfort food // nadiya's british food adventure // simply nigella // fresh india // cooking for jeffrey // summers under the tamarind tree Keep me in your duas, please!